Since 1939 when the church opened, music has played an important role in the life of Immanuel and we have always considered music as a vital element in enhancing worship. In the church itself, we have a well-maintained pipe organ and an electric piano whilst other pianos can be found in four rooms in the rear premises . 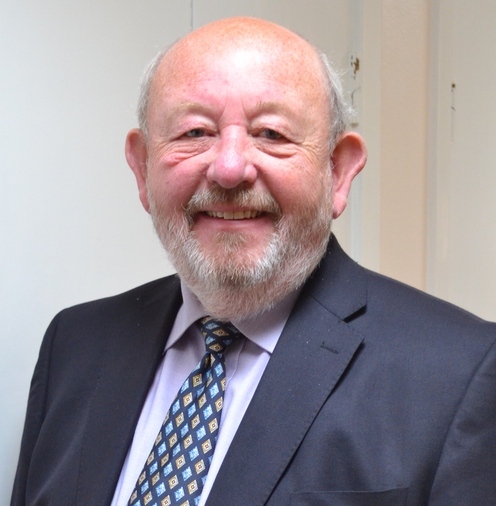 The current organist and choirmaster, Geoffrey Gleed, has been in post for more than forty years and is well known in the area for his musicianship. 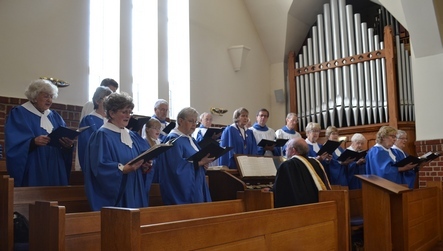 We are very proud of our church choir (currently 20+ members) which leads morning worship on most Sundays throughout the year, with an introit and an anthem. The choir has made several recordings (CDs available on request!) and has broadcast on the radio on more than one occasion. It has also had the privilege of being invited to sing Evensong in Anglican cathedrals. The music of the church is a broad mix with traditional hymns alongside more modern songs, and the choir has a repertoire that encompasses plainsong chant, Byrd and Palestrina through to Matthias and Rutter. Rooms in the building are used regularly as a rehearsal venue for three local choirs – “Ten in a Bar”, “The Co-op Ladies Choir” and “AVE” – and from time to time both “The Thamesdown Ladies Choir” and Swindon’s “Light Operatic Society” make use of our facilities for ad hoc rehearsals. ‘Music Bugs’ uses the premises on Fridays and introduces babes and toddlers to the joy of music-making. Immanuel also serves as a centre for the Associated Board Music Examinations and has done so for more than 50 years. As a result, countless students of music and their teachers see us as a centre for music in the town. 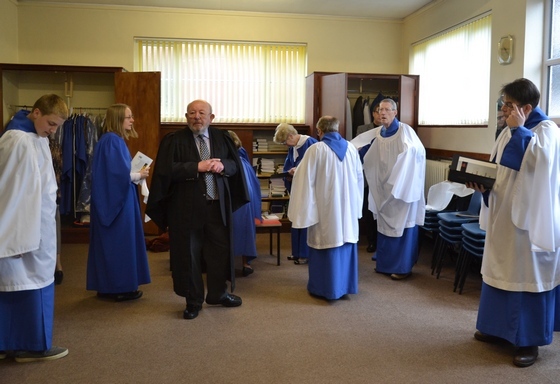 With seating for 200+ people and with good acoustics, Immanuel is often booked for concerts by outside groups and choirs in the town. One such event is the annual visit of the prize-winning Aldbourne Band who have held a concert at the church at the end of January for more than fifty years.